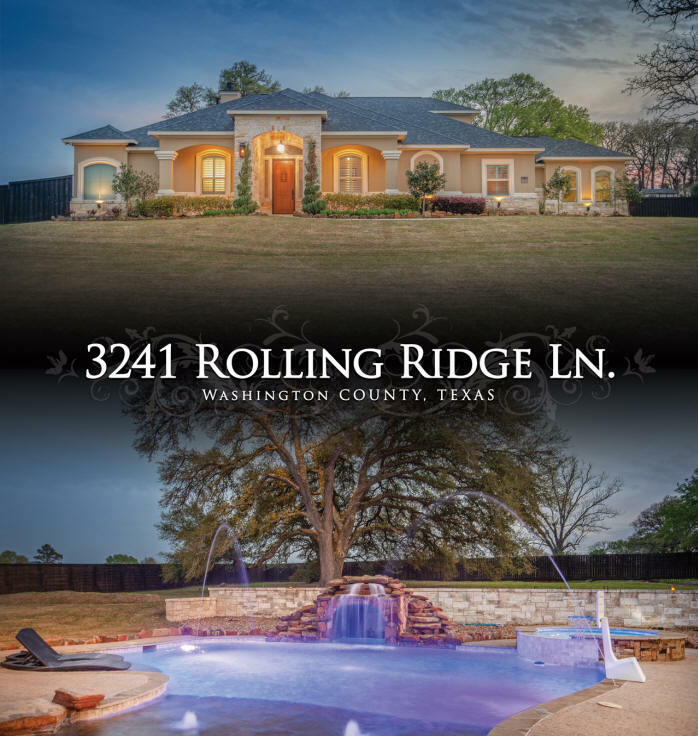 Immaculate home situated in Rolling Ridge Estates. Brick and stucco home offering +/- 2753 SF (per WCAD) with spacious open plan and custom finishes throughout. Built in 2015 by Mill Creek Homes, 3 bedrooms, 2.5 baths, travertine flooring throughout, custom cabinets, island kitchen, double ovens, granite countertops, open living, kitchen and dining. 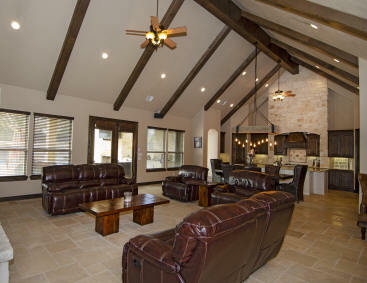 Vaulted beam ceiling in main area, light and bright with great back yard view. 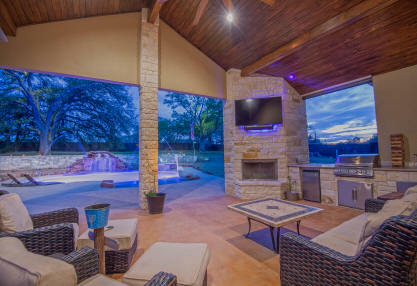 The ultimate outdoor entertaining area outdoor kitchen, fireplace, TV and surround sound system. Pool (built in 2016) with hot tub, natural rock accents and waterfall feature. Situated on +/-1.15 acre lot with beautiful mature trees and easy access to Hwy 290 just minutes to downtown Brenham and also convenient commute to Houston or Austin.